CHICAGO (WLS) -- The Chicago Bears helped provide a play space for young survivors of domestic violence. 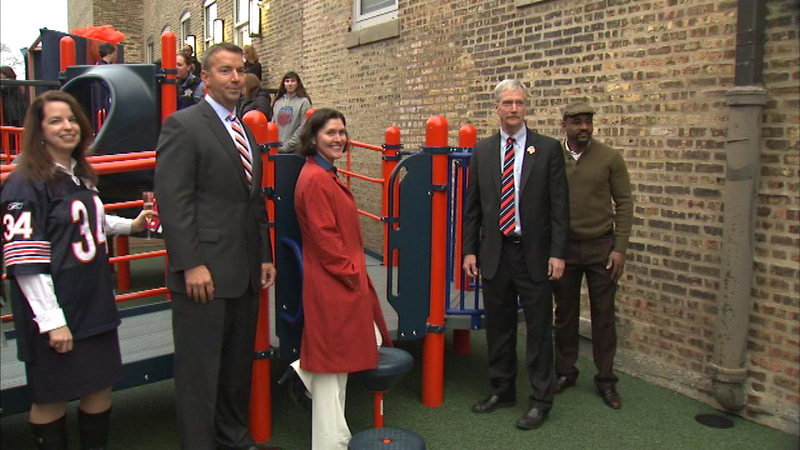 Former Bears wide receiver Rashied Davis and chairman George McCaskey dedicated a new playground for kids in the Chicago Lawn neighborhood for children at Wings Metro, a shelter scheduled to open in February. It is the first new safe house and domestic violence shelter to open in the city in more than 10 years.